Despite the less than perfect weather conditions, walking through the field feels a little more lively now as the crops start to progress. Things are moving right along not to mention the tractors. Not a day goes by where Josh isn’t sitting on a tractor seat. Empty parts of the field are slowly getting smaller! Our bean plants are quite healthy this year. 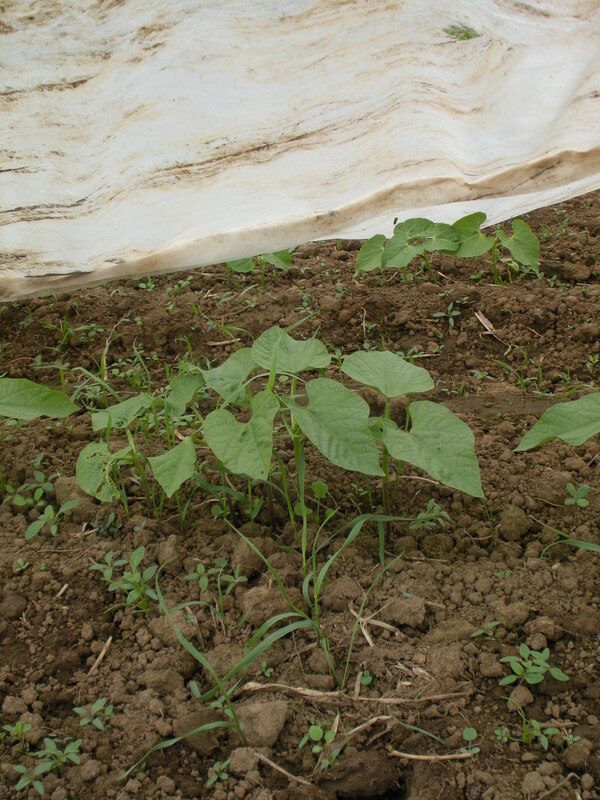 We have kept them covered with row cover and they seem to like the extra attention. We are also trying fava beans for the first time. Their health benefits are very impressive. They are rich in potassium and fiber and also contain L-dopa, an amino acid that is instrumental in the creation of dopamine, a substance that is critical for the pituitary gland’s production of human growth hormone. 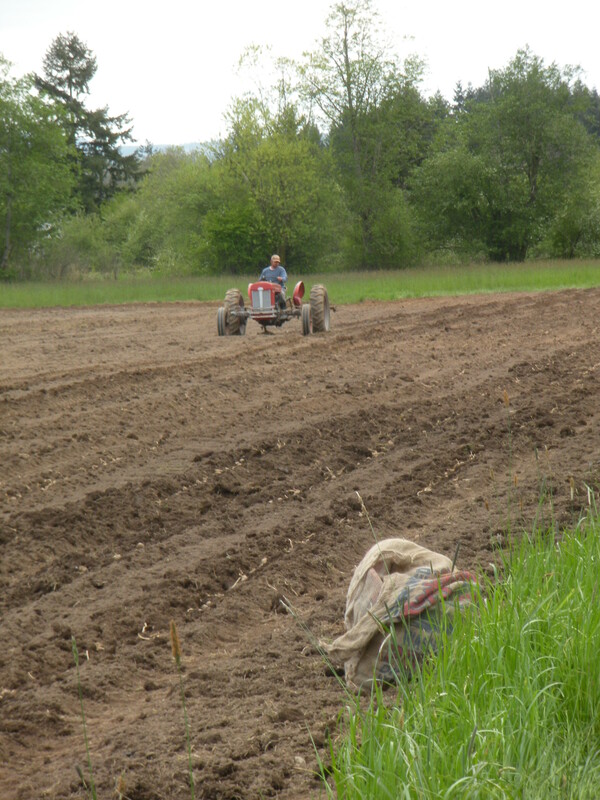 All of our spuds and winter squash have been planted at our South Chehalis property. Now we just wait to see what happens. 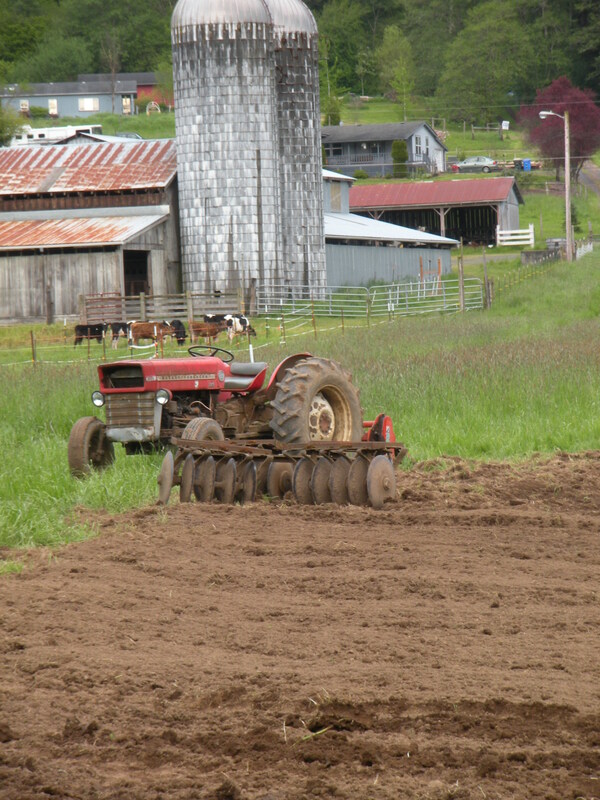 Hopefully the soil will work in our favor and produce a successful crop. 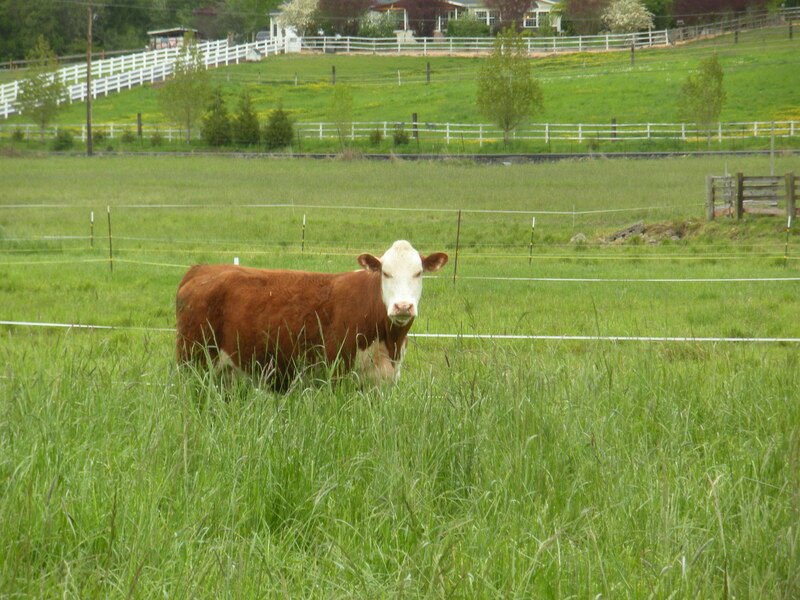 We have some wonderful four legged neighbors to keep us company and we are enjoying the tranquility of the entire place. Our garlic is growing and preparing to scape. 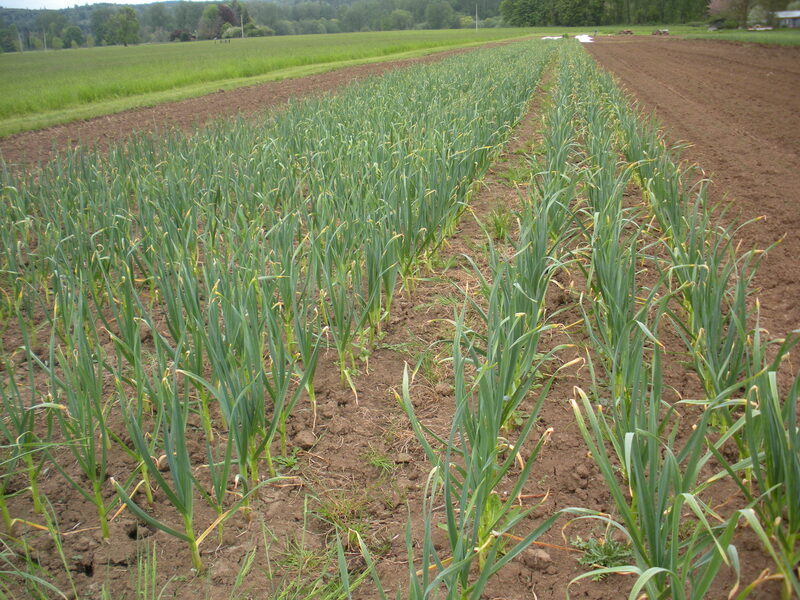 Scapes are shoots which a garlic bulb sends up as it is growing. The bulbs want to become garlic plants, so they send up a shoot like an onion would. 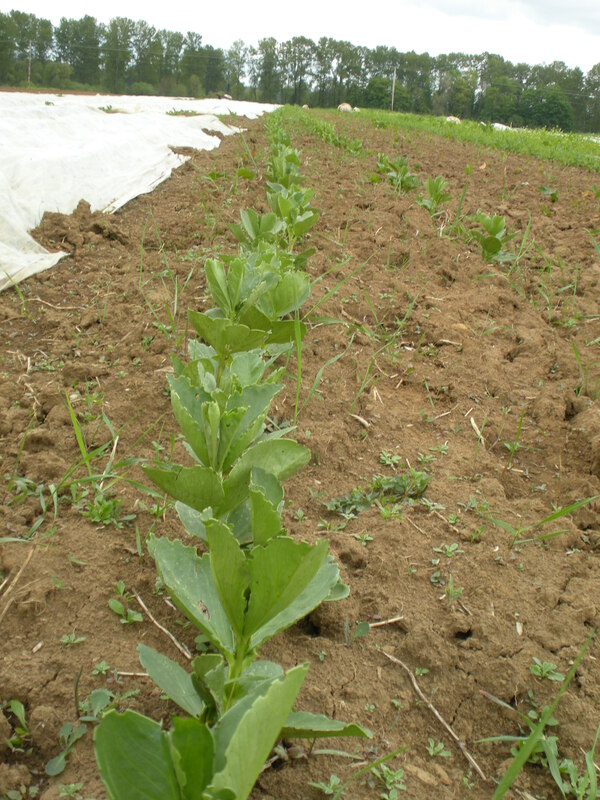 We harvest these shoots in order to send energy back to the bulb. They are edible and add fantastic flavor to any dish just as a garlic clove would. We sauteed baby rapini last night with some scapes. The flavor was outstanding. Our market days are fast approaching and we are gearing up for all the prep. It’s looking like we will start Olympia Farmers Market on Friday June 3rd. We are now equipped with credit card processing equipment for market! You can now pay for your vegetables with plastic, so long as your minimum purchase is $10. No more waiting in line at the ATM.